This kit includes all material you need to conduct practice 4 times with different groups or classes. It includes introduction to the technical, practice material and teaching guide for the teacher. To carry out these practices is necessary to have a BASIC electrophoresis system not included in the practices kits. The electrophoresis basic equipment consists of a gel chamber (7 x 10 cm) and power supply. By purchasing, is given away any of our kits for electrophoresis practices or of implementation to molecular biology techniques. AGAROSE GEL ELECTROPHORESIS. BASIC PRINCIPLES AND PRACTICE. Simple practice to demonstrate the separation of molecules using agarose gel electrophoresis. 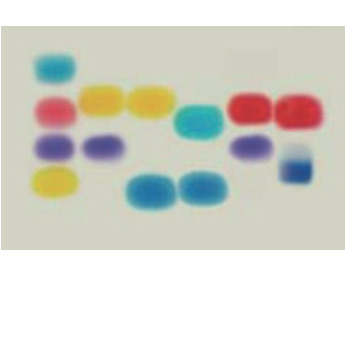 A simulation using dye solutions as DNA fragments that migrate in the agarose gel due to applied potential difference is performed. Samples, TAE, agarose and micropipette and tips. Microwave or hot plate, horizontal electrophoresis system and balance. AGAROSE GEL ELECTROPHORESIS. ADVANCED PRINCIPLES AND PRACTICE. Simple practice to demonstrate the separation of DNA fragments (molecular weight markers and genomic DNA) using agarose gel electrophoresis and subsequent staining DNA with a nontoxic method practical. 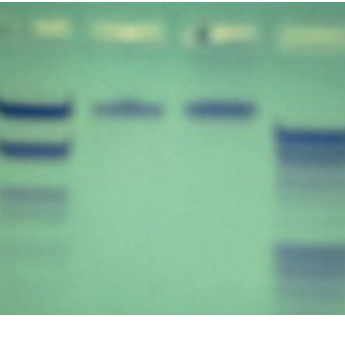 This electrophoresis is similar to that is possible to do at any research laboratory. Samples, TAE, agarose, micropipette and tips, and stain method.